Good dental health habits start early. Like many habits, children mirror what the adults in their lives do. As a general dentist, Russell D. di Bari, DDS, of Sunnyvale, California, wants to help you help your children enjoy a lifetime of healthy smiles by providing pediatric dentistry services. Book your child’s appointment online or call today. What kind of dental treatments does a pediatric dentist offer? One of the major tasks that a pediatric dentist does is to make sure a child’s teeth are growing in correctly. Most of the treatments available to adults are also available for children. A dental sealant is a substance that Dr. di Bari applies to teeth that acts as a protective seal on chewing surfaces on your child’s back teeth and other areas prone to cavities forming. Think of sealants as “Scotch-guarding” your child’s teeth against tooth decay. With good at-home hygiene, dental sealants can last for several years. Are fluoride treatments still important? Fluoride treatments are beneficial regardless of age. For children, however, fluoride treatments play an important role in fighting tooth decay. Fluoride protects teeth from the chemical combination of bacteria and sugar, which results in the production of acid that can wear away tooth enamel. Fluoride provides a key barrier against bacteria and can reverse early signs of tooth decay. At what age should children start going to the dentist? Infants can start visiting the dentist as soon as six months after their first tooth comes in. Grooming dental hygiene habits early can help children keep their natural teeth for a lifetime. Both children and adults should see Dr. di Bari every six months for a comprehensive dental checkup. Not only will this help you stay on top of dental issues, but often other illnesses will have oral symptoms, so staying current with dental appointments can impact your child’s overall health as well. The next time you visit Dr. di Bari for your dental checkup, you may want to talk to him about your child’s dental health. 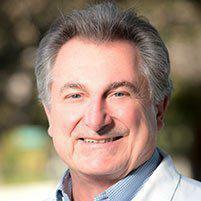 Dr. di Bari enjoys helping his patients of all ages. Book your child’s next appointment online or call today.